Premieres on WVIZ/PBS Wednesday, December 30th at 7:30 p.m.
Encore broadcasts on Sunday, January 3rd at 3:30 p.m. and at 11:30 p.m.
What was your favorite toy as a child? Was it a teddy bear? A truck? Blocks? 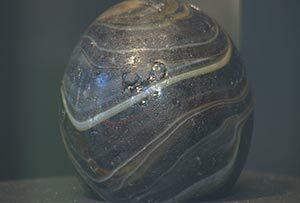 Or maybe, one of the most popular toys in history... marbles? 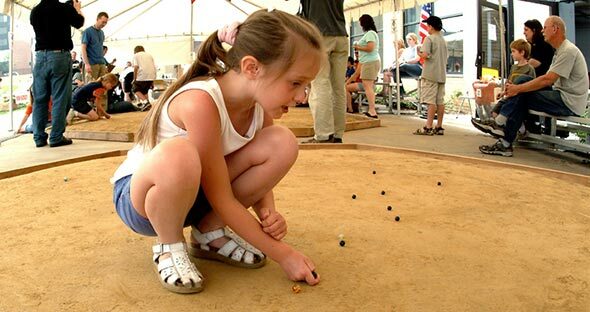 Today, children all over the world still play with marbles, thanks to how inexpensive they are to produce, but did you know they were first mass produced right here in Northeast Ohio? 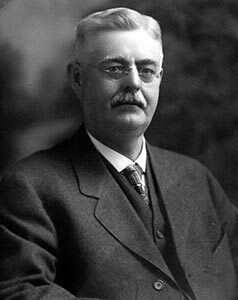 In 1884, Samuel Dyke, from Akron, invented a device that led to automation of the modern toy industry by mass producing clay marbles. In fact, it was the first time in history any toy was mass produced. So many marbles were produced from his factory, on the grounds of an old lumber yard that had once been Lock 3, that the price of toys plummeted. This allowed many kids to buy marbles with their own money (a penny bought a whole handful!). Dyke did so well that others started opening factories in competition, at one point peaking with 32 marble factories in the greater Akron area. Several years later Dyke founded The American Marble & Toy Manufacturing Company, which became the largest toy company to operate in the United States during the nineteenth century! That's just the beginning of the story because on the other side of town the leading founders of the rubber industry took notice of Dyke's success and began making the world's first mass produced rubber toys like balloons, balls, ducks and dolls. By the 1950s, over 170 toy factories existed in the Akron area. Then on an unlucky day in 1904, the American Marble & Toy Manufacturing Company burnt to the ground. The site was buried. Seven decades later the remains of the old marble factory were exposed, during a parking garage demolition, including thousands of marbles and penny toys. 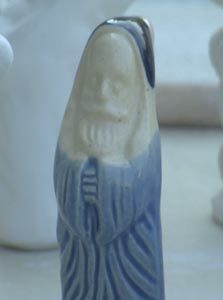 In recent years, the City of Akron allowed members of The American Toy Marble Museum to conduct archaeological excavations on the site and the best pieces are now on display at the museum, including an extra special penny toy- a miniature Santa wearing a blue robe, in German tradition. This penny toy is so unique it's documented as the oldest three dimensional image of Santa Claus known to exist. It's called a "wishing Santa" because little children held it tightly to make a wish, perhaps for what they might find from Santa on Christmas day. It is still on site in a display case at the Akron museum. This half hour documentary, produced by Larry Baker and Jen Boresz, covers an extraordinarily significant time for the toy industry and for Northeast Ohio that many have never heard about. Through interviews and archive photos this film remembers what Akron was like during this pivotal time in history. It is not only about the first time in world history when all children could afford to have toys, but also about the birth of the world toy industry, not to mention an important historical artifact of Christmas tradition - the blue Santa. This program will delight viewers by showing how the site of the toy factory in Lock Three Park is, in many ways, the original North Pole! Funding for the production of The Original North Pole: The Story of Samuel C. Dyke and the Akron Toy Industry was provided by the New York Community Trust, Cell-O-Core and Premium Balloon Accessories.